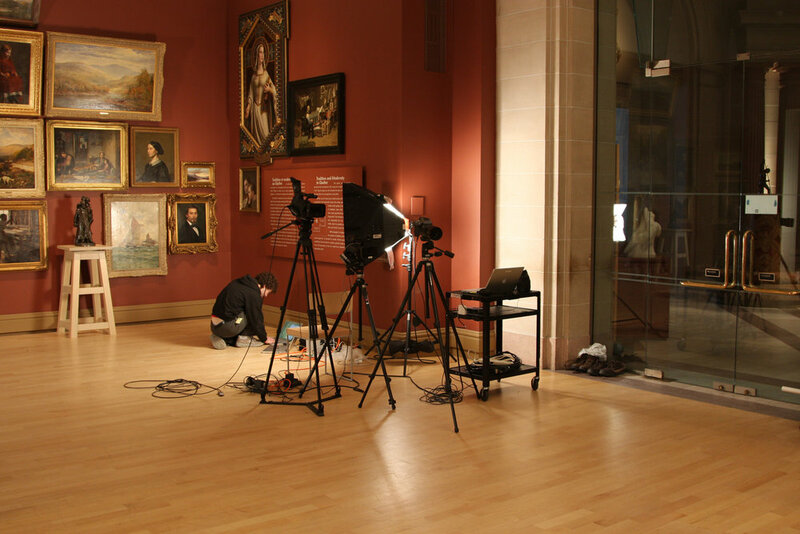 Mirroring the Musée was commissioned by the Musée National des Beaux-Arts du Québec in 2008 and is currently on view. The work is exhibited in the same room where it was produced. In this work the viewer is like a ghost caught between two mirrors, and there is also the issue of the posing spectators, visible in the videos and yet no longer in the gallery. My models were all employees of the Musée, something I often do in the Museum works. To me it is interesting to recast within the museum people who work in the building every day, yet whose relationship to whatever works I shoot them with may be very different. 2008, Intrus / Intruders, Musée national des beaux-arts du Québec. Curated by Mélanie Boucher.